Growing up with autism can be a challenge for everyone: for the child whose view of the world differs from those around them, for the parents who go the extra mile to look after and keep their child with autism happy, and even for the brothers and sisters who struggle to connect with their sibling. The relationship between two siblings can become very strained when one child is on the spectrum. With your guidance and a few parenting changes, however, you can help them grow and share in one another’s joy. Explain autism to the non-autistic sibling(s)You’ll need to gauge your child’s level of understanding and maturity before you dive into defining autism, but the sooner, the better. 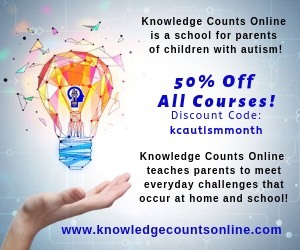 You can always renew knowledge as he/she gets older to build up an understanding and solidify the fact that their brother or sister’s autism is not something temporary.Talk to them in terms he/she understands. Use euphemisms when needed. 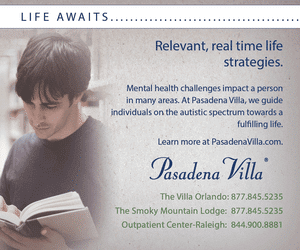 Most importantly, discuss autism in a positive light. The last thing you want to do is talk as if someone just passed away or let a shrunken expression suggest that autism is an affliction. Aim to have a conversation; don’t just talk at them. Invite your child to ask questions, and be sure to ask about his/her feelings surrounding the matter. This will help your discussion stick in the mind better because he/she will feel involved and acknowledged. Have someone else talk to them about it too. It can be useful for your child to hear about autism from an individual outside of the family—particularly someone who has experience with the condition, such as the school’s SENCO (special educational needs coordinator). This also helps your child understand you’re not making excuses for an autistic sibling’s seemingly bad behavior. Encourage time together and time apartSpending time with a brother or sister with autism can feel like a chore more than playtime for some children, especially because of potential barriers such as lack of communication, displayed affection, and common interests. This can make bonding an uphill struggle, and unfortunately, children don’t have enough foresight to see the long-term benefits of braving it. Frustration can be exacerbated if a child feels like he/she is being forced to prioritize a sibling with autism over their friends because you’re trying hard to make a friendship bloom. As you probably know from experience, forcing it isn’t the answer. 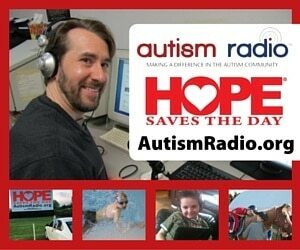 A relationship will be much healthier if a non-autistic child spends plenty of time with his/her own friends. A child will feel more inclined to interact with a brother or sister with autism if he/she has other friends with whom to do things such as enjoying common interests, engaging in hobbies, and interacting socially. He/she will have gained the enjoyment from friends that we—as social human beings—require to feel happy. With this fundamental desire fulfilled, the child will then have the motivation to find enjoyment in other ways and establish a different kind of friendship with a sibling with autism. For example, the simple act of making a sibling happy can be gratification enough. Emphasize the non-autistic child’s important roleChildren love to feel wanted and valued, and on top of that, they love to feel like they’re responsible and important. It’s part of an innate craving for attention (not in a bratty way; everyone likes to be focused on once in a while). You can use this to prompt children to interact with siblings with autism on their own terms, which is far better than you telling them to play together “because you said so.”Praise your child in terms of the role he/she fulfilled. “Listener,” “helper,” and similar terms convey valuable roles, and acknowledging this makes a child feel valuable and important. This makes the child see that interacting with a sibling with autism is an opportunity to gain a sense of accomplishment and be proud. Your children won’t play together because you made them, but because it is their choice. This is key for making children feel eager to do something— in this case, making the effort to build a friendship with their sibling with autism. Take the children on a playdate where other children, with and without autism, will attend.At some point, you’ll probably take your child with autism to playdates with other children with autism. Despite all your best intentions, this may make your non-autistic child feel envious. He/she can’t quite grasp that the sibling with autism needs to have the extra socialization. It might just look like you’re favoring one child over the other.Taking both of them to a playdate will not only make your non-autistic child feel more included, but it may also lessen feelings of envy. More importantly, a child may see other children with autism and their respective siblings and understand how the playdate benefits everyone. This will strengthen their understanding of autism.Secondly, going on a playdate where there are other non-autistic children with siblings with autism is a great way for a children to bond with others and reciprocate feelings about their similar lives. This helps him/her to realize that others are in the same position. 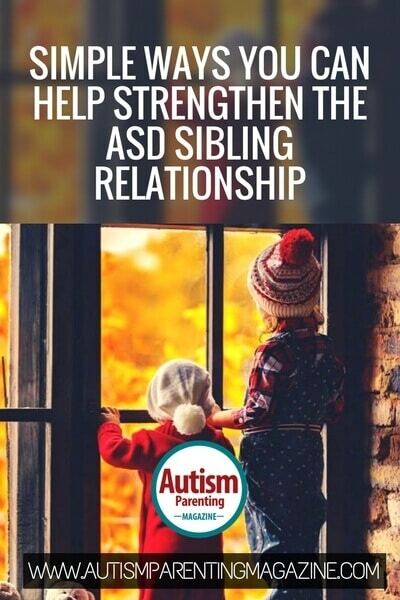 The child may feel less alone, and as a result, more encouraged to connect with his/her sibling with autism. Share your attention.This is especially important for preventing feelings of envy and resentment. Unavoidably, a lot of your time and attention will be dedicated to your child with autism, and it’s difficult for your other child to fully grasp that you’re doing so because it needs to be done, not because you love the other more.Thus, to ensure there aren’t any hard feelings, you need to give plenty of attention to your child without autism. 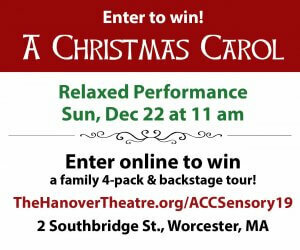 It’s not easy, for sure; your schedule will be chock full as it is without having to divide it up for each child. But there are ways to make children feel equally loved. Acknowledge the children and show signs of affection throughout the day. For example: when your child comes into the room, make a fuss about seeing him/her. Children never tire of being showered in attention, even if they don’t show it. Compliment and praise them; make them feel special. Even something simple like “I’m really proud of you!” or “You were really good at riding your bike today!” goes a long way. Have one-on-one time to give them your undivided attention.Make time to go places and do things, just you and your non-autistic son or daughter. If you have a partner, he/she can stay with your autistic child while you spend quality time with the other, and you can take turns. If you don’t, be sure to hire a trusted babysitter or respite carer to watch your child with autism.You should aim to give your non-autistic child one-on-one time every day, even if it’s just 10 to 30 minutes every now and then.Whether it’s something bigger, like going to a fair for the day or to the swimming pools, or something smaller, like taking them shopping or reading them a bedtime story, the undivided, individual attention will go a long way in making the child feel loved, which, in turn, can create stronger bonds. For more information about how parents can support siblings, see this guide from Organization for Autism Research. Liz Burton is a Content Author at High Speed Training: a UK-based online learning provider that offers training courses, including Autism Awareness, a selection of Safeguarding Children courses, and Promoting Positive Behaviour training. 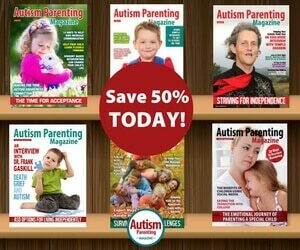 Their blog, the Hub, contains a vast array of supplementary articles pertaining to safeguarding and autism. Liz has a family member who is on the autism spectrum.